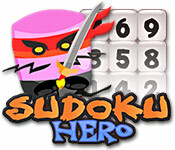 Find the true way of the samurai with Sudoku Hero, a bright, samurai-themed spin on the Japanese game of logic and numbers.Sudoku, the true way of the samurai.Find the way of the samurai with Sudoku Hero, a bright, samurai-themed spin on the Japanese game of logic and numbers. 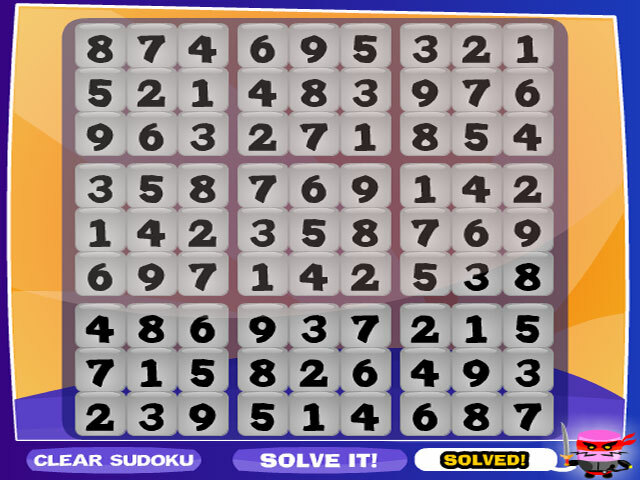 Fill in each row, column, and 3×3 box with the numbers 1 through 9, without repeating any numbers. 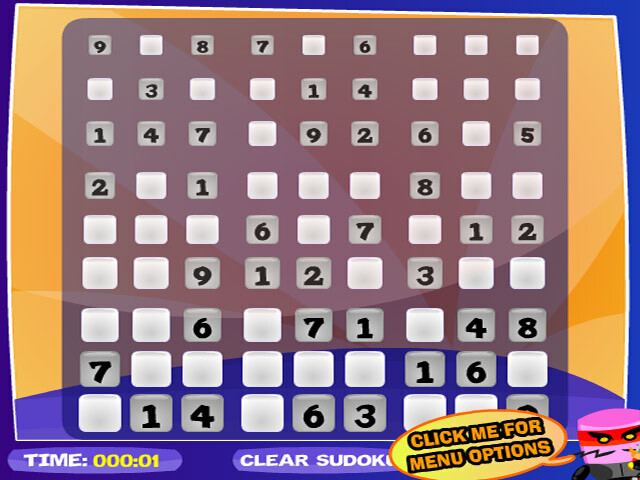 Click a square to place a number. Play with a timer or without. Use the solver if you get stuck. 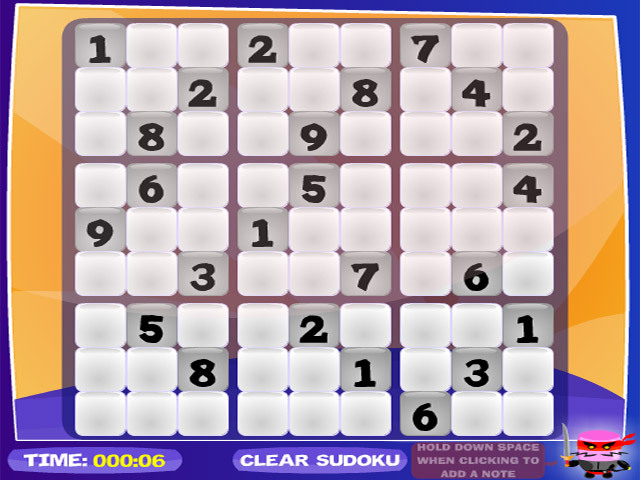 With 6 difficulty levels to conquer, Sudoku Hero offers a heroic dose of online puzzle fun.